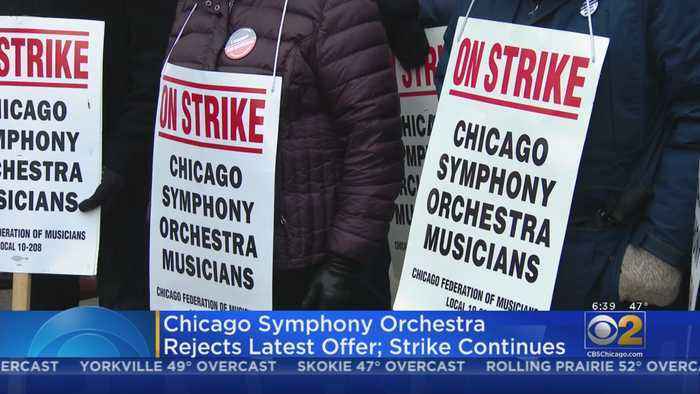 A week after Chicago Symphony Orchestra musicians rejected the “last, best and final offer” from management, their own counter-offer has been rejected, meaning their strike will continue. 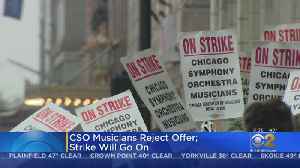 Chicago Symphony Orchestra musicians have rejected the “last, best and final offer” from CSO management, nearly a month after going out on strike. 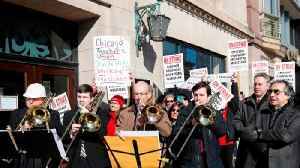 The musicians in the Chicago Symphony Orchestra go on strike over pay and the future of their pension program. All symphony performances have been canceled through March 25. 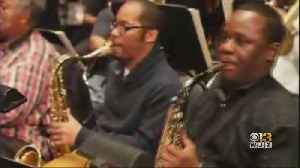 Merriweather Post Pavilion To Add Symphony Orchestra. 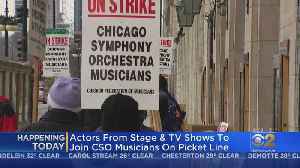 Musicians with the Chicago Symphony Orchestra are walking the picket lines on Monday, after going out on strike. 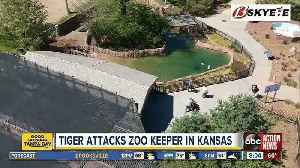 CBS 2's Mugo Odigwe reports. 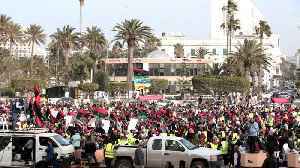 After talks broke down on Sunday, musicians with the Chicago Symphony Orchestra went on strike and will form a picket line in front of Orchestra Hall on Monday morning. 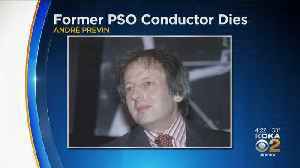 Former Pittsburgh Symphony Orchestra conductor and award-winning musician André Previn has died.